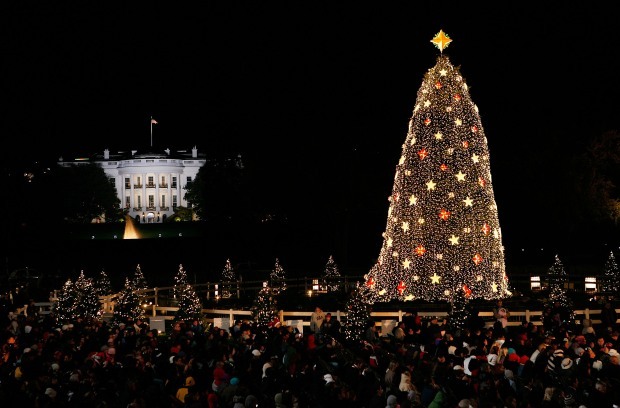 Planning to attend the National Christmas Tree Lighting Ceremony on Thursday? Public transportation may be your best option as roads and parking near the White House will be restricted, according to the District Department of Transportation (DDOT). DDOT plans to close 15th Street from Pennsylvania Ave/E Street NW to Constitution Avenue NW, as well as 17th Street from New York Avenue NW to Constitution Avenue NW. Parking will not be available on 15th and 17th streets from Pennsylvania Avenue to Constitution Avenue NW between 6 a.m. and 9 p.m. DDOT recommends drivers use Metrorail or take alternate routes. The National Christmas Tree Lighting Ceremony begins at 5 p.m. on Dec. 9 and features performances from B.B. King, Maroon 5 and Sara Bareilles.